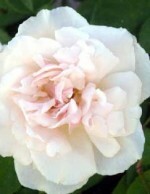 Old garden roses are those types that existed prior to 1867 when the first hybrid tea, ‘La France’ was introduced. 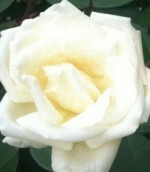 These roses were generally extolled for their form and fragrance but many bloomed only once. 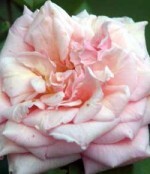 Earth Kind is a modern designation given to any rose that could meet exacting cultivation standards, no matter when it first appeared, so includes old garden roses as well as modern ones. The criteria for the designation Earth Kind include tolerance of heat, drought and a variety of soil types, as well as the ability to be grown without pesticides, fungicides, or fertilizers, once established. Although many Earth Kind roses are Polyanthas, four types of old garden roses are also included: Bourbon, China, Tea and Noisette. 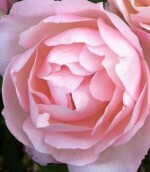 The roses described below are old garden roses that also carry the designation of Earth-Kind and although they vary in some significant ways they are all are low maintenance roses. 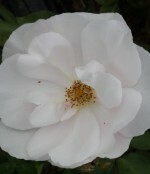 Unusual for China roses, ‘Ducher’ has white flowers sometimes with a blush of very pale pink. The flowers are carried singly at first but in sprays later in the season, and are long, slender, and somewhat pendulant. The compact twiggy bush is rounded and has small dark leaves. A good choice for a container as well as in the border. Found in a daycare center lot in Georgetown, Texas in 1983, this rose has an uncertain heritage but has been identified as a Tea Rose. It has long dark salmon pink buds that open to lilac-pink flowers with petals that roll back to form points creating a star-like appearance. 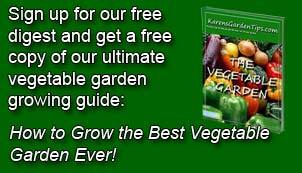 The shrubs are upright, bushy, rounded and covered with healthy medium green leaves. 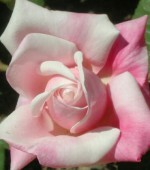 Long solitary buds open to flowers that are light pink with white enters and red-shaded outer petals. The large flowers are up to four inches long and have a mild fragrance. 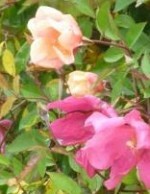 The vigorous bushes are well branched and have maroon new growth.